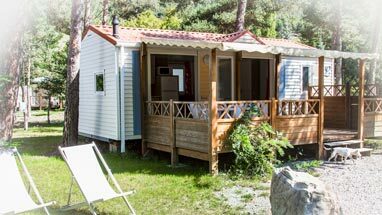 To spend a family summer in the South-East of France, do not hesitate to book a Mobil-home Confort in our Camping Le Fontarache. 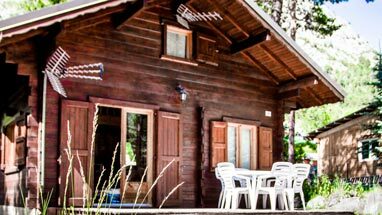 With an area of ​​23 m², these rentals consist of two separate bedrooms to accommodate a family of 4 people. A spacious covered terrace allows you to have a family lunch outdoors and enjoy a very relaxing atmosphere. 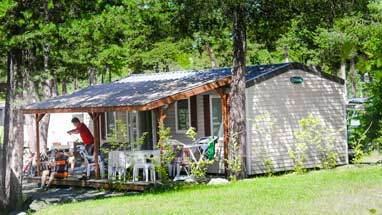 In these mobile homes you will also find a living room, a kitchen, a bathroom and a toilet. 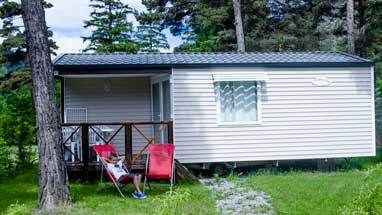 Modern and perfectly equipped our Confort mobile homes offer very good services and guarantee you a pleasant stay for the whole family. 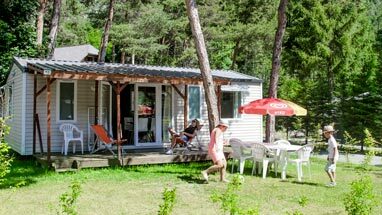 To meet the needs of holidaymakers, we have best equipped all our homes: garden furniture, multimedia equipment, parasol, sunbed, barbecue … In the heart of nature, you will feel fully on vacation and you can cool off in the pool secure from our campsite. 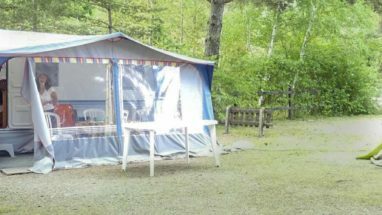 For two nights or for a week, we welcome you to the campsite Le Fontarache where you can enjoy all our activities. From 46 € per night, our offer allows you to spend pleasant holidays, whatever your budget!